The Steelers AFC Championship show down against the Patriots has drawn a lot of analysis from the pundits. In addition, Keith Butler has confirmed that the Patriots have always “…tried to find our rookies” – in other words this is no time for Sean Davis, Javon Hargrave or Artie Burns to have stage fright set in. Ben Roethlisberger must bring his A game against the Patriots. While that should be self-evident, the truth is that Ben Roethlisberger has been at his best during the Steelers 2016 playoff run. 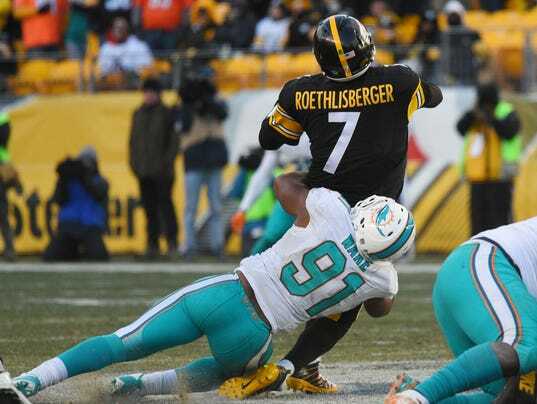 Big Ben certainly started strong against the Dolphins, but his interception late in the 2nd quarter could have allowed Miami back into the game. His 4th quarter interception came in garbage time, but nonetheless represented a bad decision by Ben. The Kansas City’s defense offered Ben Roethlisberger rougher sledding. The Steelers struggled in the Red Zone. Kansas City has one of the NFL’s best run defenses and the truth is that several of their defenders stepped up to make some pretty impressive plays against the Steelers. But according to Jon Ledyard’s analysis on Steel City Insider, Ben Roethlisberger muffed two throws that he should have made, and erred in checking out of a running play on his only interception of the game. 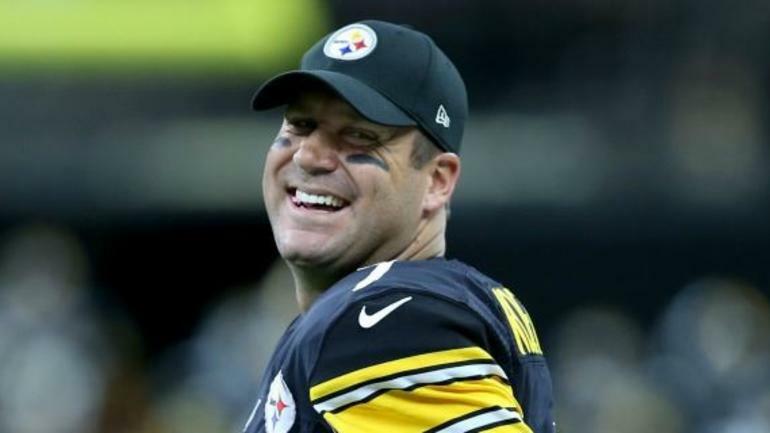 Throughout his career, Ben Roethlisberger has shown himself to be a big game quarterback. Michael Wilbon once said that if his life depended on the outcome of a game, he’d rather had Roethlisberger than any other NFL signal caller under center. But Ben Roethlisberger also sometimes tries to do too much by himself. You could see it in the 2007 playoff loss to the Jaguars, perhaps in Super Bowl XLV (never saw the game, never will) and arguably in the third quarter of the Christmas show down with the Ravens. And therein lies a special challenge for Ben Roethlisberger in the AFC Championship. Eli Rogers isn’t Martavis Bryant, Darrius Heyward-Bey isn’t Markus Wheaton and, if Cobi Hamilton IS out performing Sammie Coates, Hamilton still lacks Coates athleticism. And while Jesse James has quietly developed into a legitimate receiving threat and Ladarius Green may suit up, the Ben Roethlisberger is still going to need to do his part to make all of the wide receivers not named Antonio Brown look a little better than they are. Yet, he must accomplish that without trying to do too much. It is a delicate balance to strike, but if Ben Roethlisberger strikes that balance, then the Pittsburgh Steelers should head to Super Bowl LI. When the Steelers lost to the eventual Super Bowl-champion Broncos last year in a divisional round match-up in Denver, didn’t it seem like things should have gone the other way? Maybe that’s why, literally hours after that game ended, and tears were shed–including some by head coach Mike Tomlin–Pittsburgh was being championed as, well, a Super Bowl champion of the future, meaning 2016. The Steelers went into Denver last year, missing Le’Veon Bell, DeAngelo Williams, Antonio Brown, Kelvin Beachum, and a few other key cogs. Yet, they kept on fighting until the very end, until third-string running back and important postseason contributor, Fitzgerald Toussaint, coughed up the football early in the fourth quarter, with his team up by a point and driving for more. 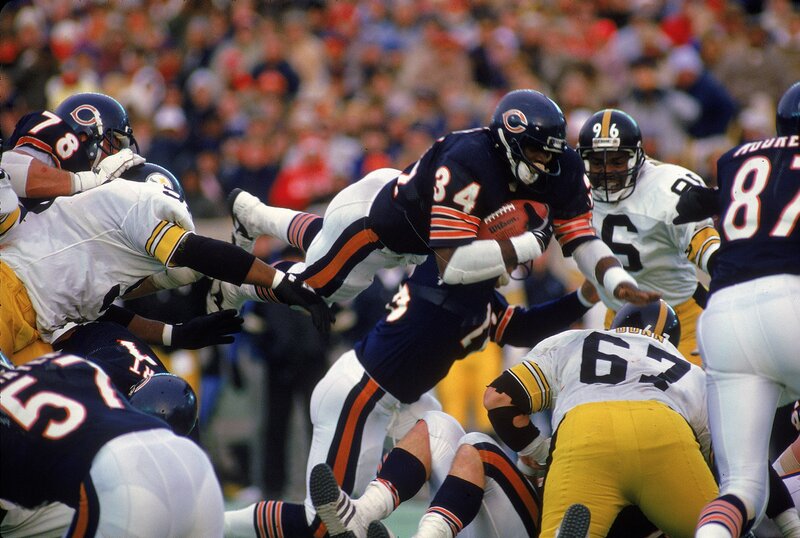 Pittsburgh couldn’t overcome this mistake, and they exited Sports Authority Field as 23-16 losers. But the Steelers weren’t losers in 2015, they were simply compromised due to injuries; when those pile up, it’s hard to keep fighting through January and into February. But 2016 is different. Actually, it’s now 2017; and while the Broncos, minus the retired Peyton Manning at quarterback, are home watching the postseason, Pittsburgh is back in the same position it was almost a year ago to the day: about to take on the AFC West champions at their home for the right to advance to the conference title game. As I write this, the game should be mere minutes from kicking off, but thanks to an ugly ice storm that is or about to wreak havoc on the Kansas City-area, the game has been moved back to 8:20 p.m. (EST). Is that good news or bad for the Steelers? What did Bill Cowher often say about prime-time games at old Three Rivers Stadium and current Heinz Field? It gave the fans a few extra hours to “lube up” for the action. But on the other hand, quarterback Ben Roethlisberger’s first career start came on a Monday night in Week 3 of the 2004 season. The Steelers were supposed to play in Miami on Sunday afternoon, but a hurricane delayed the start of the game a mere 30 hours or so. Roethlisberger and Pittsburgh won that game and kept on winning the rest, as they went on to finish with a 15-1 regular season mark and the number one seed in the AFC. against the Jets, Roethlisberger and the Steelers were no match for the Super Bowl-seasoned Patriots the following week in the AFC title game at Heinz Field. But that was then and this is now; and last year was last year, and this year is this year. The Steelers are battle-tested and actually drew a pretty decent divisional round match, this despite entering the playoffs as the number three seed and needing one extra victory to reach the Super Bowl. Pittsburgh blew the doors off the Chiefs, 43-14, when the two teams met at Heinz Field in Week 4. So what does that have to do with tonight? Nothing, other than to say that, revenge factor aside, I’d much rather be the team who won by 29 points in the previous match-up than the one who lost by that many. Fun fact: since the Steelers first started winning playoffs games in 1972, they’ve only managed to make it as far as the AFC title game once, when beginning the postseason in the wild card round. That one time, of course, was in 2005, when they entered the playoffs as the sixth seed and didn’t stop winning until they were Super Bowl XL champions. It says here that the Steelers will change that number from one to two tonight. The last time these two teams met, Roethlisberger threw five touchdown passes, while Bell rushed for 144 yards in his regular season debut. Those guys–along with Brown–will do a lot of those same things tonight, and the Steelers will walk away with a 28-17 victory. That’s my prediction; what’s yours? I’m not usually one to second guess when it comes to football games (okay, I’m a writer, so you better believe I’m one to second guess), but in the case of head coach Mike Tomlin’s decision to leave quarterback Ben Roethlisberger in the game late into the fourth quarter of the Steelers thoroughly convincing 30-12 wild card victory over the Dolphins at Heinz Field on Sunday, I was actually first guessing things. With Pittsburgh equipped with a 30-6 lead and possession of the football early in the fourth quarter, my uncle and I, enjoying the rare postseason blow-out at Primanti Bros. on Route 60, both agreed that pulling all key offensive personnel at that point was absolutely the right decision. This didn’t happen, as Antonio Brown, Le’Veon Bell and Ben Roethlisberger took the field for what soon became a quick three-and-out, followed by a punt. Miami then proceeded to march 70 yards on nine plays and closed to within 18 points on a short touchdown pass from Matt Moore to Damien Williams. The problem for the Dolphins, however, was that they burned 4:20 of game-clock and only 5:57 remained. What further decreased Miami’s chances of a miraculous comeback was a failed two-point conversion thanks to Ross Cockrell. And what did the visitors in for good was an unsuccessful onside kick that Brown recovered with 5:55 remaining. Sure, the score didn’t look like a blowout at that point, but it may as well have been. The Steelers had possession of the football, an 18-point lead and less than six minutes remaining to preserve things. Therefore, not only did the Dolphins have to find a way to regain possession pretty quickly, they needed to score a touchdown and convert a two-point try, recover an onside kick, score a touchdown and convert a two-point try, recover another onside kicker and then make a game-winning field goal. Maybe one of those things was going to happen over the final 5:55 of the fourth quarter, but all of them? Not a chance, given the way James Harrison, Ryan Shazier, Stephon Tuitt, Bud Dupree and Lawrence Timmons were corralling the Dolphins. At that point, the Steelers Killer B’s (or Big Three, as they’re now being called in some circles) should have been excused to the sidelines. DeAngelo Williams was in for Le’Veon Bell was, but Ben Roethlisberger and Antonio Brown remained in the lineup. Unfortunately, not only did the Steelers not move the ball, they turned it over when Roethlisberger threw his second interception of the day with 4:23 remaining. No big deal, other than the franchise quarterback–the most indispensable member of the entire organization, as it pertains to competing the 2016 season with Lombardi in hand–suffered an ankle injury on the play and was seen wearing a walking boot after the game. 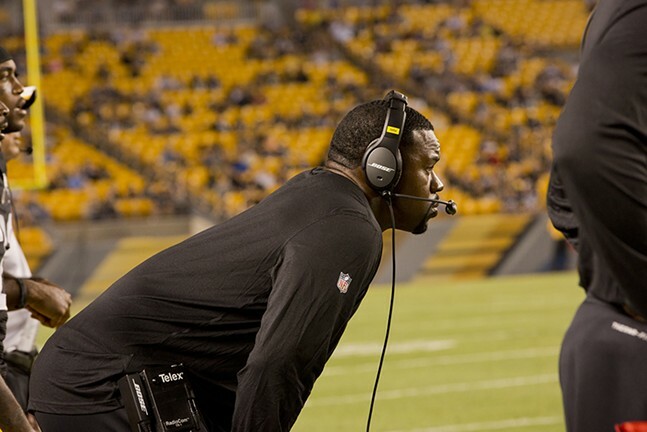 This started a firestorm of criticism directed at Mike Tomlin Sunday night and all day Monday…and rightfully so. 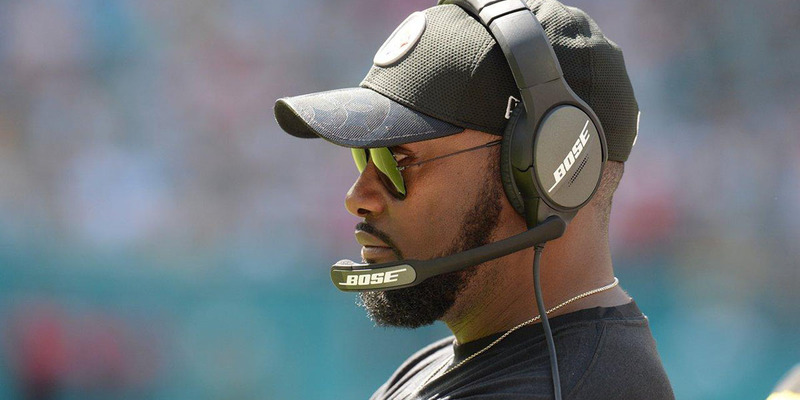 I’m a huge Mike Tomlin supporter, but he, like everyone else in Steelers Nation, was/is well-aware of how key injuries either wreck or compromised Pittsburgh’s postseasons in the very recent past. In 2014, a hyper-extended knee suffered by Le’Veon Bell absolutely wrecked the Steelers season as they had no viable backup at running back after cutting LeGarrette Blount in November. A season ago, the Steelers put up a good fight, but they went into the postseason without their top two running backs and lost Antonio Brown and almost lost Ben Roethlisberger as they progressed through the Wild Card round and into the divisional portion. How might both 2014 and 2015 have turned out without those key injuries? Remember the 2008 finale at Heinz Field when Mike Tomlin insisted on playing his starters in a meaningless game against the Browns? Pittsburgh had the number two seed locked up and nothing to gain or lose, yet many key players–including Roethlisberger–started the game. Early in the first half of what would be a 31-0 victory over the Cleveland Browns, Roethlisberger suffered a concussion and had to be carted into the locker room. Obviously, if you know how 2008 ended, you know that Big Ben was fine. But that was quite the scare. 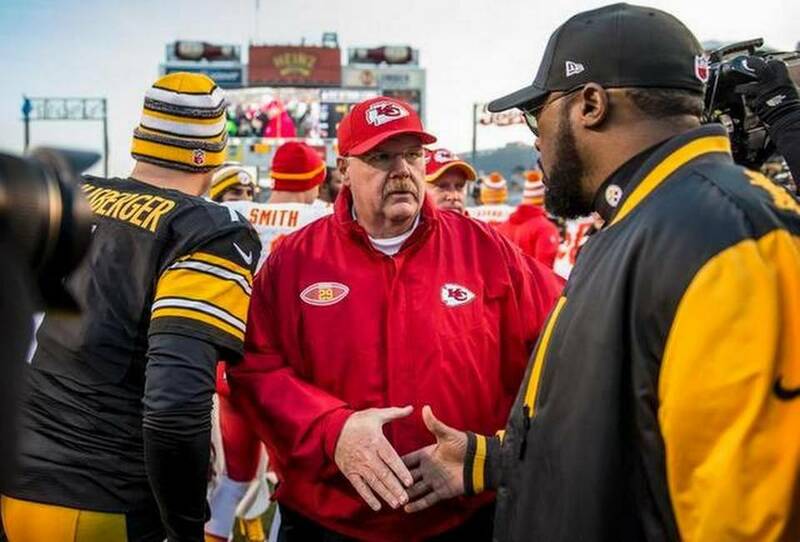 Sunday was quite the scare, as well, but it looks like Roethlisberger will be fine and ready to go against the Chiefs this Sunday in the divisional playoffs. As far as I and just about everyone else are concerned, that was one scare that was far from necessary.